Kids just love car racing adventures. With their last gasp winners, cool underdogs and dastardly villains. 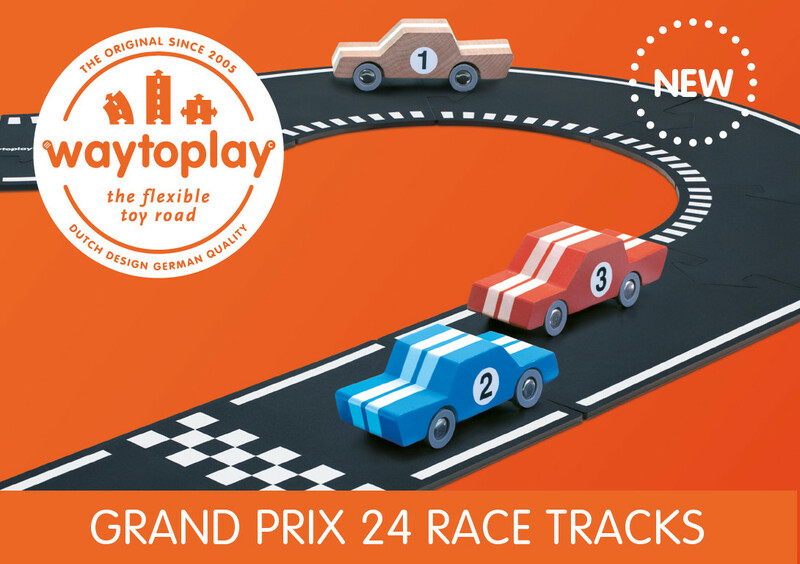 The new Grand Prix set by waytoplay brings that excitement into their homes. The brand new 24 piece Grand Prix race set offers children the chance to create different race tracks, it’s up to their imagination. Using their favourite race cars with this set they will create a whole new world of racing adventures. The set offers more opportunities for you to sell our flexible toy road and build on good sales. The Grand Prix set really stands out in our current range and is a must-have for your customers. Fully compatible with existing sets, it creates new opportunities for creative play. Add the new, specially printed GRAND PRIX race set to your line up. Delivery starts from February 2019. Order yours at the Spielwarenmesse in Germany. Come to our booth D-03A in Hall 3A.